Hanging mount rack for billiard cue, professional and durable. Help straighten your warped cue, ideal accessories for billiards room. 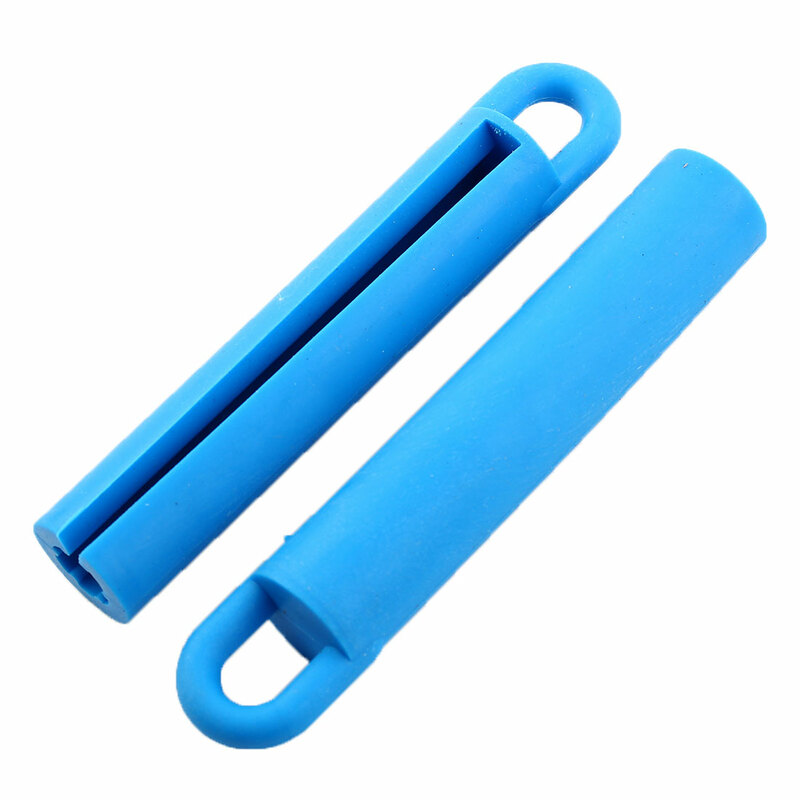 Just slip the molded rubber cue hanger over the top of your pool cue and hang. The weight of the pool cue will help take some of the warpage out of your cue. Available Color: Green, Yellow, Red, Blue, Black. Total Size: 11 x 2cm/4.3" x 0.8"(L*D); Inner Dia: 1cm/0.4"